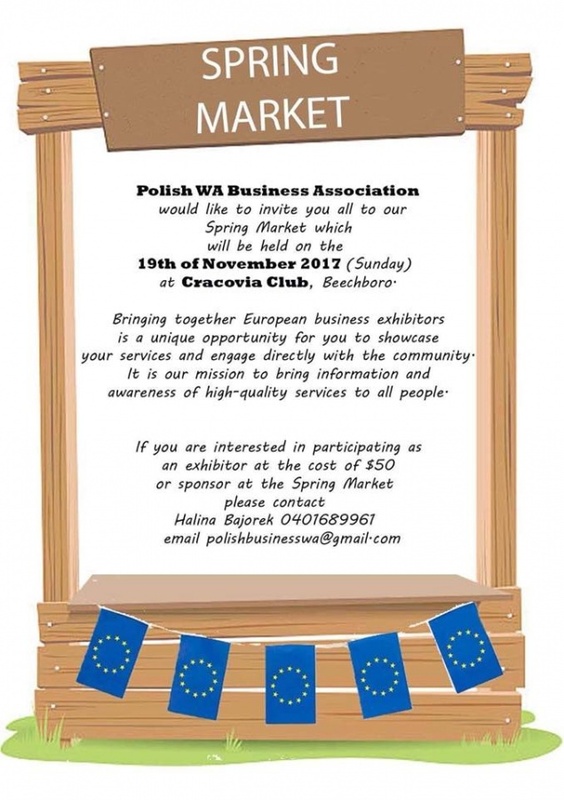 We would like to invite you all to our Spring Market which will be held on the 19th of November 2017 (Sunday) at Cracovia Club, Beechboro. Bringing together European business exhibitors is a unique opportunity for you to showcase your services and engage directly with the community. It is our mission to bring information and awareness of high-quality services to all people.